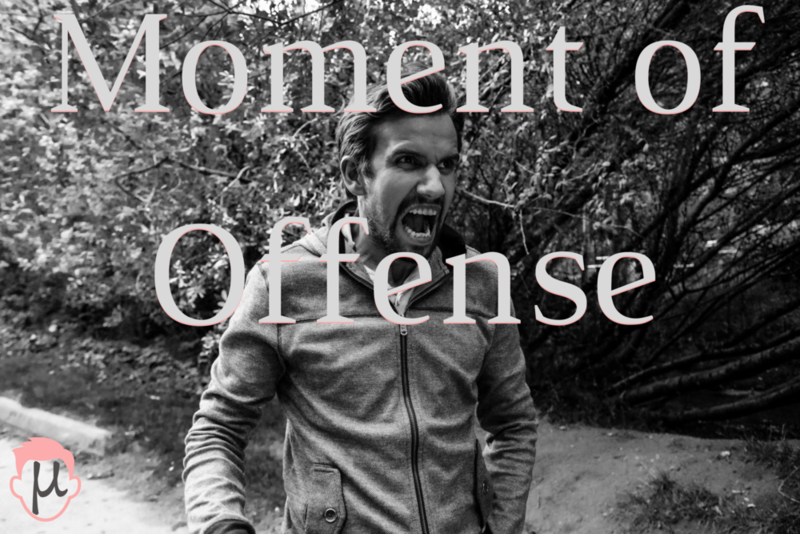 When someone offends you, there is a moment. There is a decision in the moment to be offended. To react and to engage. In all these parts and pieces. The moment of offense is lost. You take action and are moving on and making assumptions or decisions. Acting or overacting and being hurt and engaging accordingly. The moment of offense is the match. Your processing of the offense is the fuse. And your actions post processing is the dynamite. The entirety of it all started in the moment of offense. But you are only in control of the fuse and the dynamite. What if the next time you are offended, you decide to remove the fuse from the flame? Take it away from the burning unhealthy flame that is going to set fire. Instead, you investigate. What caused your friend to make this decision? Why did they strike the match? These are questions only they can answer, your assumptions cannot answer these questions. How do you do when someone offends you? What is a healthy reaction? What is an unhealthy reaction? How would you want someone to respond to you when you offend them? How can you do this for people, even when they might not deserve it? I listen to several podcasts. Not a lot by comparison for sure. But several none the less. One podcast in particular, I especially enjoy. Both of the guys on the podcast are good guys with big hearts, sharp minds, and generally concerned with the well being of other people. Over time I have grown attached to this podcast primarily because I relate to the guys so well. I would have to say, over time, it has become probably one of my favorite podcasts. Recently shared one episode of one of my favorite podcast with my wife. She did not know it was one of my favorite podcasts and she did not enjoy it. It was obvious she was not enjoying the podcast because she teased it and joke about it. She was not harsh, she was popping a few jokes at the podcast, no different than we have ever done before on together. However, this time, I was hurt. My podcasts are to some extent my friends. They talk, they don’t expect me to talk, and I can glean information from them, about as perfectly one sided as it gets. It hurts though to have one of my favorite podcasts tarnished by knowing she is not into it. And truly, it is not a podcast even remotely in the genre of podcasts she might be into. The hard part is feeling like I have shared a part of who I am with someone else and they did not really appreciate it. Everyone does not have to like what I like, but we should be respectful in how we tell each other we do not like each other’s entertainment. The truth of the matter is, I was being too sensitive. I am not trying to say there is something wrong with being sensitive. I am saying there are some issues not worth being as sensitive about as I was being. No matter what my personal connection is to this podcast, there is no reason to be hurt or emotionally offended over my wife not liking it. There is reason to keep sharing and offering parts of myself with others. I have gained far more in sharing my thoughts and feelings with people or sharing hobbies and ideas I consider to be a part of myself. I have been hurt and lost some in the process of sharing with others. However, this is a situation where I know the good far outweighs the bad previously, now, and moving forward. What do you have to share with other people? When was the last time you shared part of yourself with someone else? When will you share part of yourself with someone next?